Rebekah, Chris and their baby Harry Burton. Photo: Leanne Snow. One of the world’s best equestrians Christopher Burton has a year ahead of him that most people could only dream of, yet Goulburn is never far from his mind. Burton, who will demonstrate at the United Kingdom’s glamorous Event Rider Masters in America this year, may one day settle in Goulburn from where his wife Rebekah (nee Thompson) hails. The Burtons are based in the United Kingdom for closer access to competitions to help maintain his elite status. Some people say event rider masters is achieving what one day cricket offers beyond Test cricket – a shortened, exciting version of the sport. ERM features the world’s best horses and riders who compete over spectacular countryside and grand old castles. No such backdrop presented itself to Burton at short notice recently, when promoters of Equitana Australia, the largest equine showcase in the southern hemisphere, asked him to ride for a promotional video. Burton will be the star rider at Equitana in November in Melbourne. 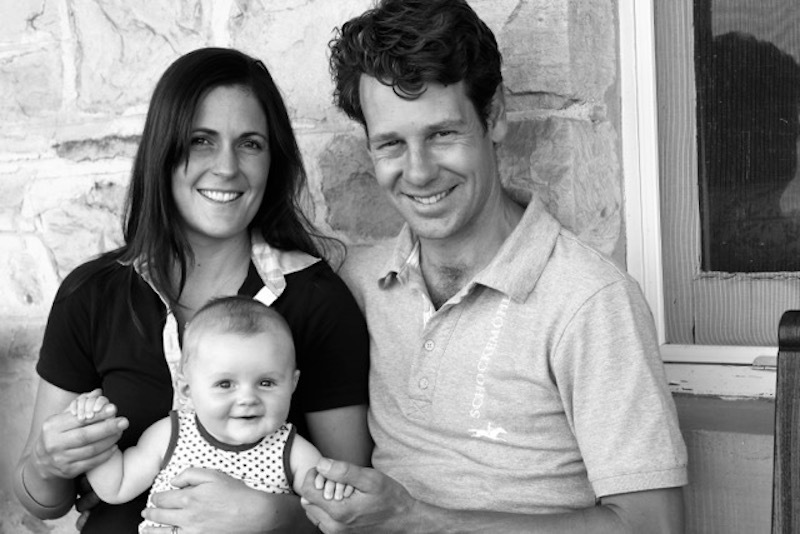 At the time, Burton was in Goulburn with Rebekah and their six-month-old baby Harry visiting parents Stewart and Jane Thompson. Trouble was, he had no suitable horse nor a place to ride it. Alan Cardy, owner of Goulburn property Lynton, a working cattle enterprise with an excellent horse trial course, stepped in with an offer to open the course. Chris Burton riding Nobilis 18 at Burghley Horse trials. Photo: Ingo Waetchner. While far from the heights of Europe’s equine industry Canberra, the South Coast and Southern Highland are making massive strides ahead. Wallaby Hill at Robertson in the Southern Highlands is regarded as NSW’s premier equestrian centre, while Canberra airport owner Terry Snow has spent a reported $100 million establishing Willinga Park at Bawley Point on the South Coast. “One day we would like to move back here,” Burton says while in Goulburn. “I am not saying when, however, with wonderful people around like Leanne Snow who helps manage Lynton and who gave us a great opportunity there. It was fun and it is a nice thought that one day we might move back to this beautiful country. Goulburn solicitor and former Australian Olympic equestrian selector, Neil Kennedy, who established the Lynton course in 1978, says the annual trial draws riders from South Australia and the eastern states as a lead up to Australia’s biggest trial in Adelaide. The Lynton trial, which requires an enormous amount of work to prepare the farm for eventing, has nevertheless become one of the most popular in the country. 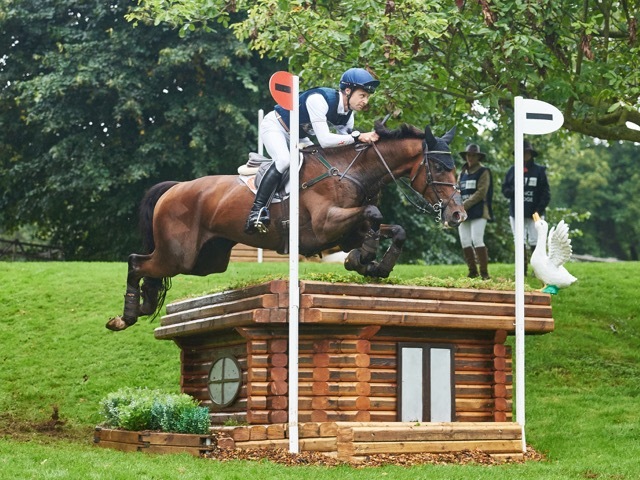 The Burtons’ eventing business in Surrey, England, would be replicated here where Chris could coach riders, train horses and continue riding himself. A more pressing goal these days is the Olympic Games in 2020 in Tokyo for the rider who went close to winning a gold medal for Australia before finishing with a bronze medal at the Rio Olympic Games in 2016. Burton, 36, hopes to be selected in September for the world equestrian games, and says the Australian eventing team is looking strong due to a well run national high-performance program. So how heavily do high expectations weigh on him?